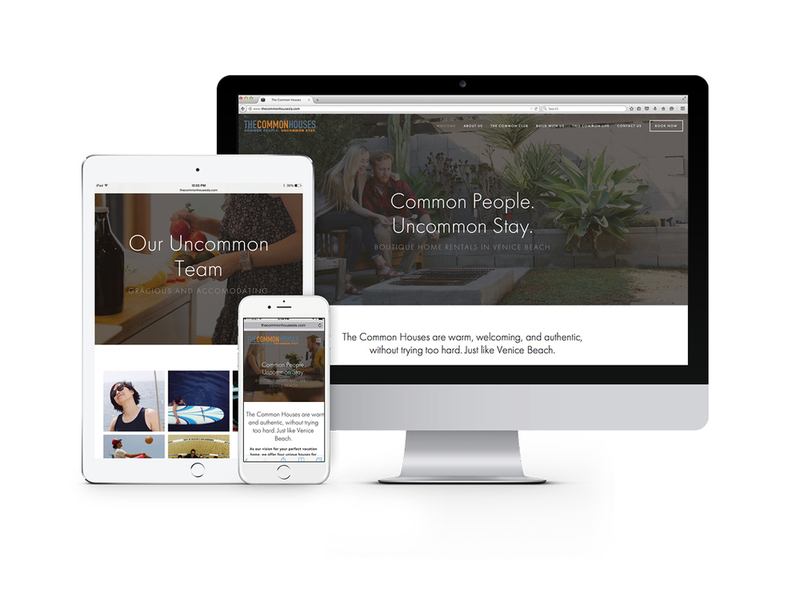 The Commonhouses is an online vacation rental destination for several Venice Beach bungalows. I consulted with the client on coming up with a strategy for selling the vacation home lifestyle. The client wanted to develop a website that showcased several properties, and devising a cohesive brand that told the story of the beach houses. She wanted the website to promote the turnkey vacation home rental service as well to create a community for previous and future visitors. I art directed and orchestrated the photoshoot to create the lifestyle driven photographs for all of the promotional materials. I designed and built the website platform, creating all of the brand copy. I also initiated and art directed all of the social media platforms and email newsletter that conveyed the visual brand style. Within the first year, with a new Instagram page, Twitter page and new art directed content, the social media engagement grew by 1500 percent.